Did you know that April is National Recycling Month? So while we spend these thirty days washing out our plastic bottles, removing batteries from hairdryers and bringing shopping bags on our next trip to the market, let’s listen to some songs that were recycled. For some songs earmarked for one project often wind up in another. In the early ‘60s, lyricist Howard Dietz and composer Arthur Schwartz wrote “Before I Kiss the World Goodbye” for a planned musical version of Paul Gallico’s MRS. ‘ARRIS GOES TO PARIS. The 1958 novel told of a Cockney woman who wants one Big Adventure before she shuffles off this mortal coil. Theatergoers who didn’t see CABARET on stage until 1987 may wonder why “I Don’t Care Much” is on this list, given that it’s appeared in the show since then. And while John Kander and Fred Ebb wrote it before they were recruited for CABARET – it even appears on Barbra Streisand’s second album – it was in the script of WELCOME TO BERLIN that was being circulated to investors in early 1966. Yet the song was cut before the first Boston preview in that original production. Musical theater enthusiasts are always saying that GYPSY has the greatest overture of all. Yet its first two songs weren’t written for the now-classic musical. Jule Styne’s melody for “Everything’s Coming up Roses” was originally found in his 1947 hit HIGH BUTTON SHOES (soon to be produced by Encores!). In it, Fran expressed her romantic dilemma; she loves Hubert but her oh-so-wise sister is encouraging her to wed Harrison. Thus Fran sang “I’m Betwixt! I’m Between!” until director George Abbott made Styne and lyricist Sammy Cahn drop the song. A dozen years had to pass before the world became aware of the melody. Next in that GYPSY overture is “You’ll Never Get Away from Me.” Stephen Sondheim has said that in the ‘50s he’d be at parties where Styne would go to the piano, play the tune and identify it as a song with a Sammy Cahn lyric called “Why Did You Have to Wait So Long?” – one they wrote for a planned-but-never-made film called PINK TIGHTS. Sondheim has since gone on record stating that “If he had told me that a completed lyric had been written to it, I would have never agreed to work with that tune.” And therefore, the overture to GYPSY that we know and love – nay, adore — would be somewhat different. Musical theater writers hate when a cast album isn’t made of their score. Alan Jay Lerner had to be unhappy that LOVE LIFE, the 1948 musical he wrote with Kurt Weill, wasn’t recorded. The only reason was a lengthy musicians’ strike, not because the show wasn’t well-received or didn’t run long enough; seven musicals of the ‘40s that ran fewer than LOVE LIFE’s 252 performances were recorded in the non-strike years. This cloud turned out to have a golden lining for Lerner a decade later when he was writing the film GIGI, for one of LOVE LIFE’s songs was “I Remember It Well.” No, the lyric wasn’t q-u-i-t-e the one that Honore and Madame Alvarez sing in the Oscar-winning film, but Lerner did reuse the concept of lovers having different memories of long ago. Along with Lerner, Frederick Loewe, GIGI’s composer, had to be happy that their 1945 musical THE DAY BEFORE SPRING didn’t yield a cast album, either. “Where’s My Wife?” – in which a dumped husband wonders just that – became “Gaston’s Soliloquy” that came immediately before the lush title song. Gigi’s “Say a Prayer for Me Tonight” was originally Liza Doolittle’s song in MY FAIR LADY until it was cut in New Haven. So three songs out of GIGI’s nine were recycled. Years later in 1973, when GIGI was being repurposed for Broadway, Loewe had to be happy that the charming instrumental waltz he’d written had been included in the film. Now Lerner had to do all the work when putting lyrics – utterly amazing ones, by the way – to Loewe’s music to create “The Contract.” There the terms of Gigi’s marriage are not easily negotiated – but getting to a compromise is pretty hilarious. Jerry Herman took music from two of his early off-Broadway efforts and made them major moments in his later Broadway hits. Six years before Mame sang “It’s Today,” Dody Goodman, Charles Nelson Reilly and two others sang “Show Tune” in his revue PARADE. However, Herman only took the first A-section of the song and then built a new melody for Mame Dennis to enhance her party. In 1961, Herman wrote the score for MADAME APHRODITE. Rosemary, a shy plain woman sang that she wants to be “Beautiful” and will use cosmetics to help. Well, Albin – also known as Zaza – in LA CAGE AUX FOLLES has the same goal and will achieve it by applying “A Little More Mascara.” Considering the similarities between the two characters, one can easily understand why Herman thought of his old song before writing his new one. When creating ANNIE, Martin Charnin took an existing Charles Strouse melody – “You Rat You” from the film THE NIGHT THEY RAIDED MINSKY’S – where it had been a snazzy up-tempo tune. 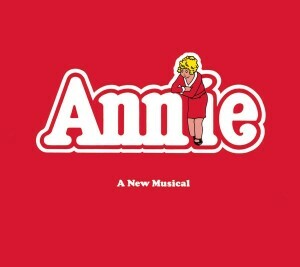 Charnin slowed it down to make it suitable for “Something Was Missing,” Daddy Warbucks’ touching admission of why this little orphan Annie has come to mean so much to him. In 1967 – ten long years before ANNIE – Charnin worked with composer Harold Arlen and bookwriter Hugh Wheeler to create a musical called SOFTY, based on a story by that name by Indian writer Sama Rantha Rau. Jason Robards was set to star and the Colonial Theatre in BosWell dton was booked for a September 4, 1967 opening. No, this is not the same song that a decade later became ANNIE’s terrific second-act opener where Miss Hannigan’s charges ape Bert Healy’s theme song. Charnin just liked the title and built a new lyric for it. And then there’s “It’s Beginning to Look a Lot Like Christmas.” Those who weren’t around in the ‘50s and now listen to the original cast album of HERE’S LOVE assume it’s a genuine show song written specifically for the musical. Not at all; Meredith Willson, the show’s composer-lyricist-librettist, wrote it in 1951. It soon became a Christmas classic, so when Willson was adapting another Christmas classic – MIRACLE ON 34th STREET – he knew it’d be a natural for it. In those days, though, when Broadway concentrated on new music, Willson felt he couldn’t just plunk it into the show. As a result, he wrote the delightful “Pine Cone and Holly Berries” to serve as a counter-melody to it and make it new. Would today’s composers and lyricists bother to do that? Six Broadway musicals right now either offer second-hand music from films or employ old pop hits. More such musicals are on their way. No, these days Broadway doesn’t solely rely on April to recycle.